TUESDAY, Nov. 28, 2017 (HealthDay News) -- Seniors with a fractured hip need surgery as soon as possible or they could suffer life-threatening complications, a new Canadian study concludes. "We found that there appears to be a safe window, within the first 24 hours," said lead researcher Daniel Pincus, a doctoral student with the University of Toronto. "After 24 hours, risk began to clearly increase," Pincus said. 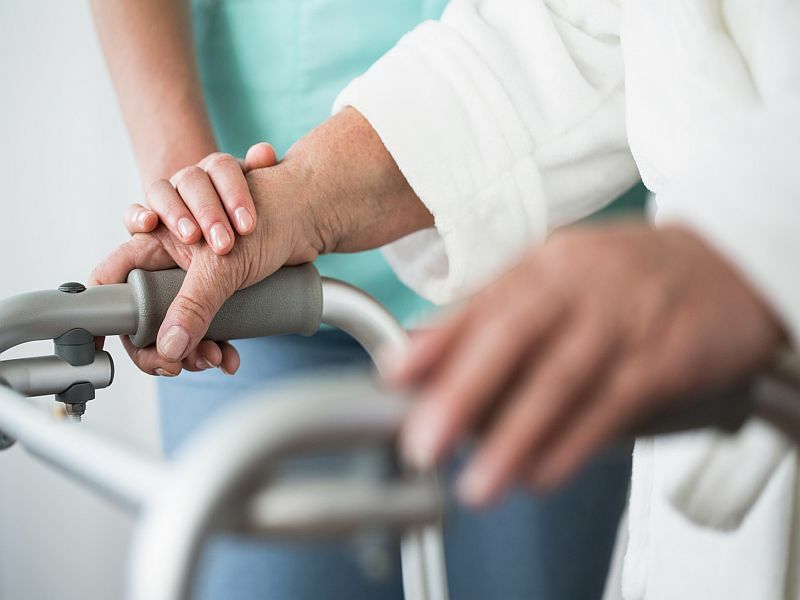 U.S. and Canadian guidelines recommend hip fracture surgery within 48 hours of injury, but it's likely that many people don't receive care that quickly, he noted. Oftentimes, there's no operating room or surgeon available, or other patients are awaiting surgery, Pincus explained. "There's a triage system and these patients historically were not prioritized," he said. "Sometimes there's medical reason for the delay, but that's very rare. We're starting to realize there's almost no reason why a patient should be delayed." "The perception is that if you're old and you've broken your hip, that you're going to have a lot of other [health problems]," said Sax, co-author of an editorial accompanying the new study. "Therefore, I need to spend several days running tests on you to try to make sure I can get you through the hip fracture surgery. " To see how this delay affects the health of patients, Pincus and his colleagues evaluated data on over 42,000 people treated for hip fracture at 72 hospitals in Ontario between April 2009 and March 2014. The patients' average age was 80. "The problem is the longer you sit in bed, the more likely you are to get pneumonia and blood clots. The unfixed bone is continuing to flick off little bits of fat, which can go to the lungs," Sax said. "The delay doesn't necessarily make things better. It could make things worse." "A prompt evaluation to make sure there's nothing quickly correctable should be done, but otherwise the patient should move to the operating room as quickly as possible," Sax said. "The question needs to be, what is the information that you're going to gain and how would that change your management of this patient," Sax said. "There are very few things you find with all this expensive testing that you can do anything about." "If you can find a hospital that does that, the chances are your outcomes are going to be better," Sax said.